It is used for maintenance of machines. The clamping force and the magnetic force of the magnet are also strong and easy to desorb. This review is about item#2045136. It is used as a sink for pump. It is compact and handy to install so that it attaches to the base and shaft with a firm making. I use it as a dial stand. This manufacturer has purchased two hands because it is using from a long time and it is stable and easy to use. 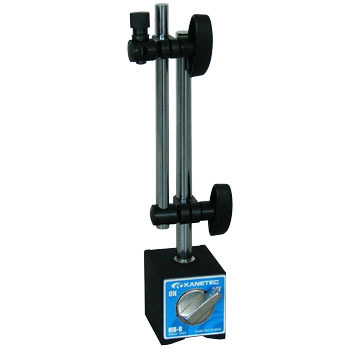 At the same time, we also purchased magnet stand parts and produced and used original measuring stands. This review is about item#02045136. Thread parts are also easier to handle than previous competitors' products, so I will buy it in the future. Cannetu made base holds gotch. The arm is fixed firmly with a dial. Good sense of stability. Accurate measurement is possible. If possible, I think I will buy a little more price, if it is cheap. Very easy to use, we are satisfied with the price.